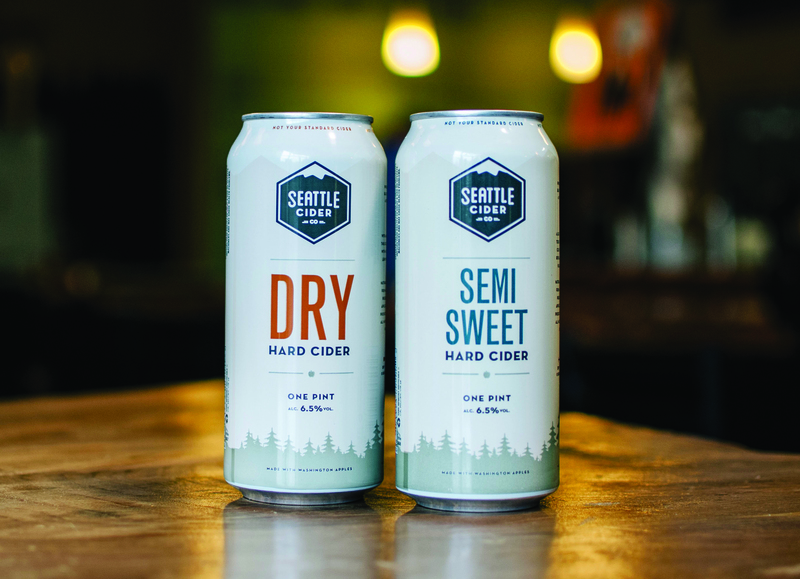 Seattle Cider Company offers a variety of hard cider from dry to semi-sweet. Washington’s hard cider scene is fairly new but growing fast. In Seattle you’ll find an array of flavors, many coming straight from locally grown apples, pears, and cherries. In Fremont, Schilling Cider House (708 N 34th St; schillingcider.com) lays claim to the largest selection of draft ciders in the nation, with a by-the-bottle selection of more than 300 specialty ciders in its arsenal. All handcrafted in the Pacific Northwest, Schilling’s brews get creative with infusions of pineapple, passionfruit, pear, cranberry, and more. At Capitol Cider (*818 E Pike St; capitolcider.com), find unique selections like Finnriver Habañero or Tieton Sparkling Perry. This is the largest independent cider bar in the country, with more than 20 ciders on tap and 150 bottled, plus an entirely gluten-free food menu. Number 6 Cider (945 Elliott Ave W, Ste 203; 6cider.com) makes its home in Interbay (with a patio facing active train tracks) and features seasonal and Seattle-centric flavor options like pomegranate and cold brew coffee. Try its six ciders on tap at tasting room Citizen Six (945 Elliott Ave W, Ste 201; citizensixseattle.com) next door. The city’s first cidery since Prohibition, Seattle Cider Company (4660 Ohio Ave S; seattlecidercompany.com), is based in SoDo and shares its tasting room, The Woods, with Two Beers Brewing (twobeersbrewery.com). Known for its two classic flavor profiles–dry and semisweet—it also offers a variety of seasonal brews like Pumpkin Spice, plus a limited bottle supply of flavors like Three Pepper.